Maximum 2 persons per room per stay. The all-inclusive rate of $400 per person, per night, and includes all meals and unlimited diving. Book Your Amazing Vacation Today! Please download, fill out, and email to info@diversinnmx.com prior to arrival. We will guide you to the many diving locations and provide the all the dive equipment and instruction. With Divers Inn MX you create your own daily activities. No planned trips or big groups. You see what you want to see and do the things you want to do — it’s your vacation! Dubbed the “Aquarium of the World” by Jacques Cousteau, the Sea of Cortez is home to an abundance of sea and marine life. You can dive, swim and snorkel with sea lions and dolphins, and watch the jumping rays explode out of the water. Whales, eels and the coral reefs will be sights you will never forget. Richard has been diving since 1966. He trained with the old system under prior Navy trained frogmen, then re-certified with Padi and progressed through their system to the Master Scuba Diver Trainer level. Kristi trained at Howells, St. Lucia in the Caribbean and took her Master Recreational level training with PCH scuba in Agoura Hills and on Catalina Island in the Avalon Dive Park. 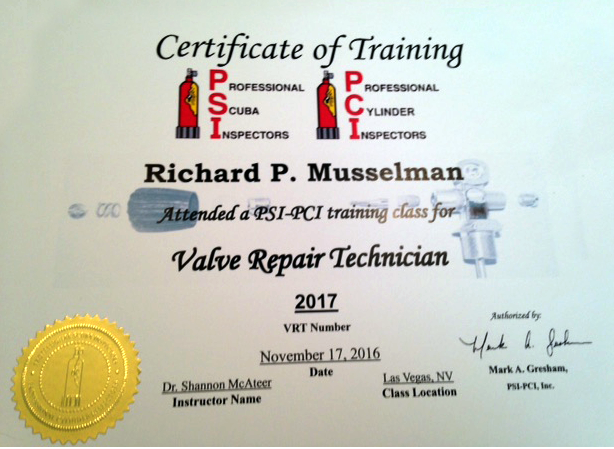 What Richard can offer you in training is private instruction in open water, advanced open water, Master, Rescue, Dive Master, CPR, First aid, and specialty dive certifications. The current specialties offered are: Peak Buoyancy, Nitrox, Deep, Navigation, Boat, Debris, Rescue, Night, Search and Recovery, and Altitude. Additional specialties can be arranged in wreck, fish identification, and coral identification. 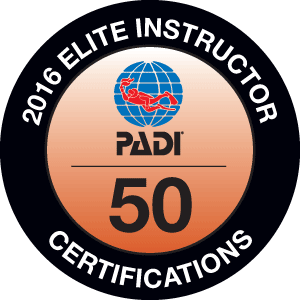 The main focus of our training is to introduce you to SCUBA diving utilizing the PADI standards to ensure you become a competent and safe diver. A private pool for the confined water portion is utilized. And then open dives are conducted in Whiskey Town Lake, Catalina Island, or La Paz, Mexico, B.C.S. All diving instruction and participation through Divers Inn MX is free while staying at Divers Inn. Your only costs will be the pick fee for the Padi Card. Lobos Rock is a great dive location for all levels, and features caves and overhangs and an abundance of fish and sea life, including rays that rest on the sandy bottom. At night, the area is alive with invertebrates, and you can see parrotfish sleeping inside the cocoons they construct for themselves each evening as the sun goes down. Look for small fish among the coral heads here. Maybe you’ll see a few sharks, or even a few sea lions. With a max depth of 35 ft, great visibility, coral heads, walls covered with gorgonians and hundreds of schooling fish Swanne Reef is an excellent dive site. Schools of green jack hide from their larger predators, one moment you may be surrounded by them and then they seem to disappear when other sea life come around. This site is where the famous Salvatierra hit Swanne Rock. The wreck left behind it’s mark, but barely visible because it is so overgrown by corals and sea fans. The top of this reef is only 6 ft deep and it is covered with living coral that a wide variety of creatures call it home. This site is the wreck of the cargo ferry La Salvatierra that sank in 1976 moments after striking natural reef Swanee Rock. The Salvatierra is laying on a sand bottom in 60ft of depth, and is approximately 70% intact with both propellers exposed. Many of the trucks which were her cargo are still visible and their tires remain inflated to this day. The wreck has created an artificial reef attracting a wide variety of sea life. This is an interesting and enjoyable wreck dive with no penetration. The Fang Ming was a Chinese fishing vessel, 54 meters in length, that was seized by authorities for transporting illegal immigrants; therefore it was confiscated by the government of Mexico. In 1999, the vessel was intentionally sunk to create an artificial reef. It was the first artificial reef to be intentionally sunk in Latin America and new rest at 21m deep and is home to an abundance of marine life. This wreck was an American military boat that was given to the Mexican government to create an artificial reef. When they prepared the ship to create the artificial reef they allowed for safe diving on the wreck. You are able to cross the boat from front to back through several parts of the boat (from the advanced open water level onlyYou will see a wide variety of fish and marine life. They are two islets or large rocks of which one is a natural arch. There lives a very rich marine life as well as a colony of over 400 seals. Throughout the year you can enjoy the incredible experience of diving with them. They are very playful and love to interact with divers. Diving in the islets is an amazing experience not to be missed! Diving under the arch is a magical moment where usually sea lions concentrate; stop for a while to admire the sea lions and the wonderful coral walls. Isla Ballena, also known as Whale Island, is a small island off the west coast of Espiritu Santo Island. It offers small caves formations where divers go by, magnificent coral and tropical fish fans possible. A rock islet just North of Isla Cerralvo with a lighthouse. You can see both sea lions and manta rays at this shallow reef. This site is among the most beautiful in the area. You will find a large reef with by Gorgonias of all types, Brain Corals, large schools of brightly colored tropical fish. Other fish such as tuna, wahoo, dorado, hammerhead sharks and yellowtail are also known to occasionally make an appearance. La Reinita, a small rock pinnacle with a constant current, is located on the west side of Isla Cerralvo. Schools of fish including large groupers gather here and swim in never-ending circles. On the ocean floor, you will find sea fans, small fish nibbling around the brain corals and conger garden eels This area is occasionally visited by the Giant Pacific Mantas that have wingspans over 12-feet long. Typically they are normally seen at Socorro Island far south of Cabo San Lucas. This beautiful dive is on the northern point of Cerralvo Island . With a maximum depth of 60ft (18 meters) we find a maze-like reef teeming with sea life. Among the Coral Heads play Sea Turtles, Mexican Barracuda, Morray Eels and Shoals of Sergeant Majors. Snorkel and dive with the playful sea lions off the east coast of Isla Espiritu Santo. This sea mount is sometimes called the “Bajo Marisla Seamounts” and is home to an abundance of sea life.. There are three distinct underwater peaks. The central peak, with it’s shallow depths and relatively flat top, is the primary dive site and anchoring location. This is one of the premier dive sites in the world for schooling hammerhead sharks. The sea around the small island of Las Animas is rich with coral and marine life. Rising up to within recreational limits, the pinnacles and sea mount of Las Animas attract schooling jacks, tunas and hammerheads, making it a popular dive location. San Francisco is another seamount, deeper and not as large as El Bajo. Lots of black coral. It’s not uncommon to see pelagic fish here. Experience a dive vacation like no other. Our upscale, private and quiet all-inclusive getaway provides divers with a personalized package. Gourmet meals, no crowds, private setting and a Sea Ray Sport Cruiser dive boat. All diving instruction is included. 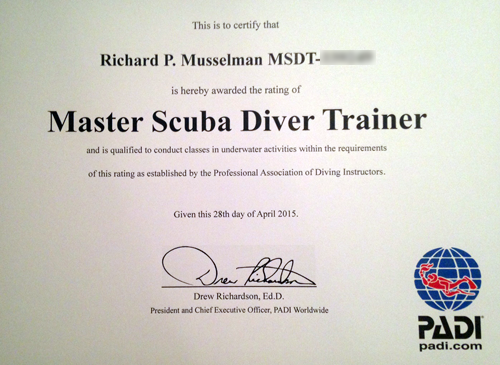 Open water to Master Level. Many specialties and amenities are offered as well including airport pickup and return from the La Paz airport. Dive the Sea of Cortez. Wrecks, reefs, and drift diving. Come and see what Jacque Cousteau called "The Aquarium of the World." Use the contact form to request more information and to be added to our email list. We will be sending out updates periodically so you can stay up-to-date.